Last night I saw the best >2 ship battle Ive ever seen in the game, and a wonderful tribute to what I consider the heart of this game: PvP (and other player interaction, but "PvP" sounds better). It started like any other encounter lately. 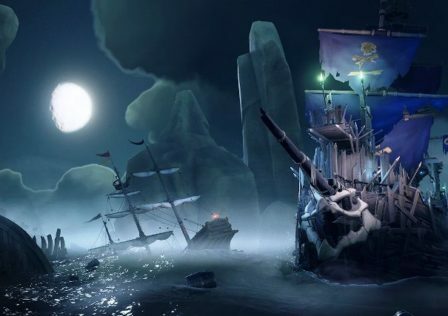 A galleon rolls up to a reapers mark ship, and then the reaper scuttles. My crewmate and I watched the reapers progress until their disappearance, and were almost there when this happened. 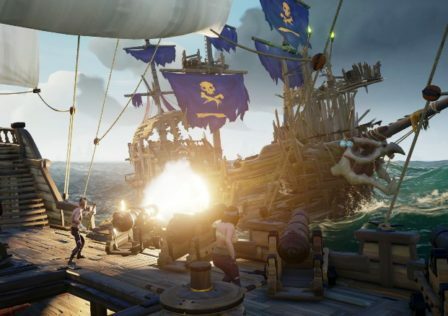 We thought the galleon stole our mark, and we attacked. A battle probably about 20 minutes long ensued. 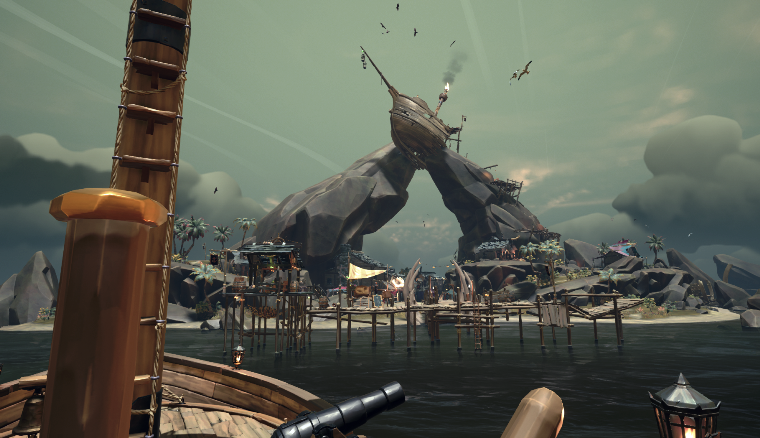 My sloop got several good boards in, but they were able to keep a consistent enough pressure that we couldn't stay on for more than a minute or two and they didn't have any gunpowder in their crows nest for me. We eventually decided we wouldn't sink them, and then my crewmate recognised one of them from his friends list so we joined their party. We talked for a few minutes, but then we were attacked by a brig. And then another sloop. Now a battle followed that was probably about 45 minutes long. Each one of these ships must be the winner of 99% of their encounters. Eventually, somebody boarded my ship while I was off on another, and I was forced to return. My game crashed, probably due to being on the first Xbox one, as I was about to deal a killing blow to the boarder, and my sloop sank. I returned a few minutes later, but this time on my girlfriend's PC. I boarded the sloop that sunk me and was eventually joined by a member of the galleon. We quickly sunk them, and I had a very good time killing the man who watched me disconnect (but honestly probably just slaughtered my vegetable body). The brig had now run out of supplies, and fled to restock. By now my memory of the fight starts to go out of order, but it ended with everyone sinking but the other sloop, and nobody bothered returning again. I did get on every ship at one point or another, and all the loot I knew of, in total, was one castaway chest. It was a great fight just for the sake of having a great fight. I did record it, but half of it is on my Xbox and half is on my girlfriend's PC and I am not good with computers. 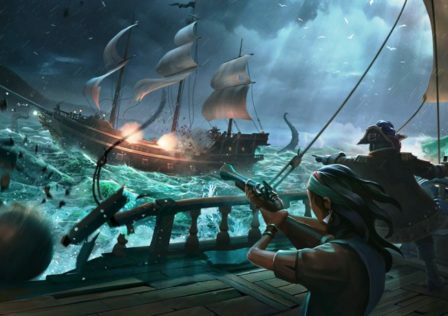 © Post "My greatest battle in the Sea of Thieves" for game Sea of Thieves.